The night time has a way of making already cool rides look even cooler at theme parks. 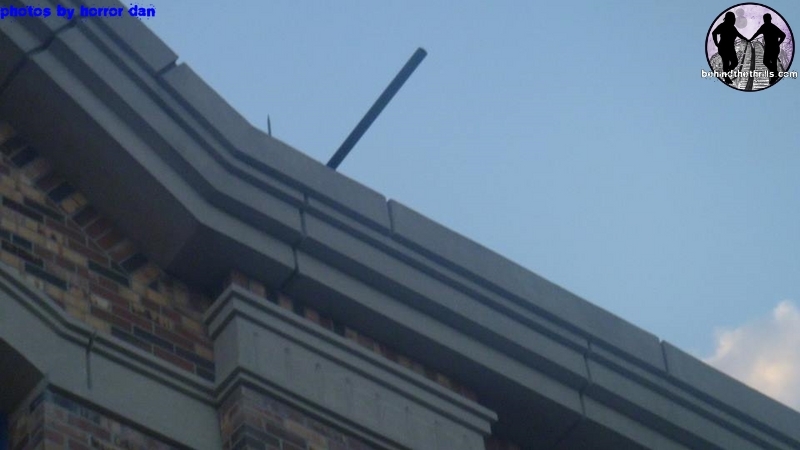 We’ve seen the effect happen at The Wizarding World of Harry Potter, Antarctica, and even Disney. The latest addition to Universal Studios Florida is no exception. Springfield is a hell of a town, and the newest attraction at Universal Orlando is even more of a town at night. 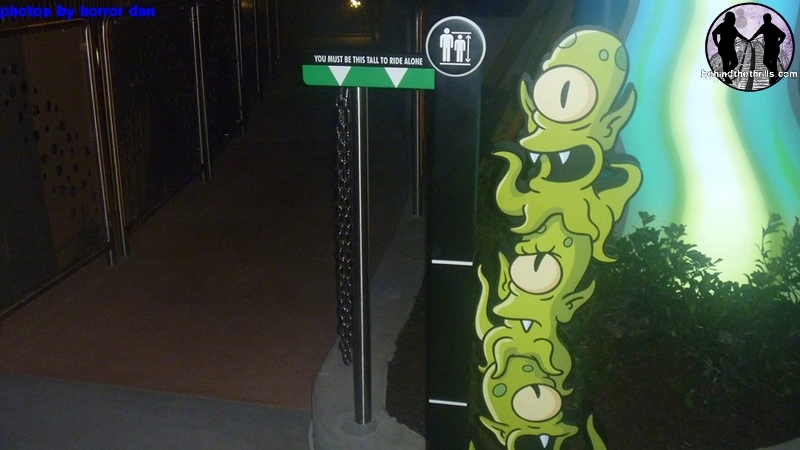 We also take a look at some of the little changes happening to prepare for Halloween Horror Nights. 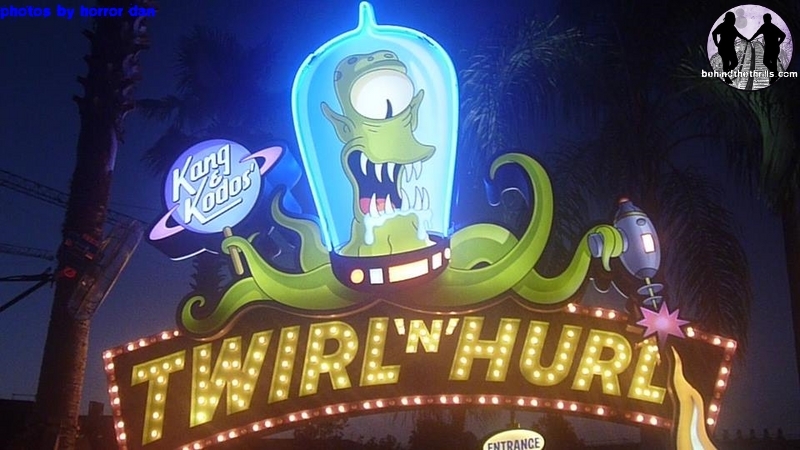 Kang&Kodo’s Twirl n Hurl at Universal Studios Florida’s all new Springfield area is a campy throwback not only to The Simpsons, but also to the old school sci-fi films of the 50’s and 60’s. Larger than life aliens, tentacles, and ray guns make the attraction one of our favorites in the day time. But at night? This thing is just ten times cooler. The colors! It’s definitely very vibrant at night, and makes the static aliens seem like they are really coming to life. Still, you have to admire the way that the attraction is self-aware and makes fun of itself. It’s the fun kind of stuff that you could only hope you were cool enough to write. The entire Springfield area is a lot of fun at night, and looks even more like it was ripped out of a cartoon than in the daytime. The lights of the Duff Brewery, the huge Lard Lad sign. It’s all very vibrant. Elsewhere around the park, the signs are starting to show that Halloween Horror Nights is coming very soon…quite literally! 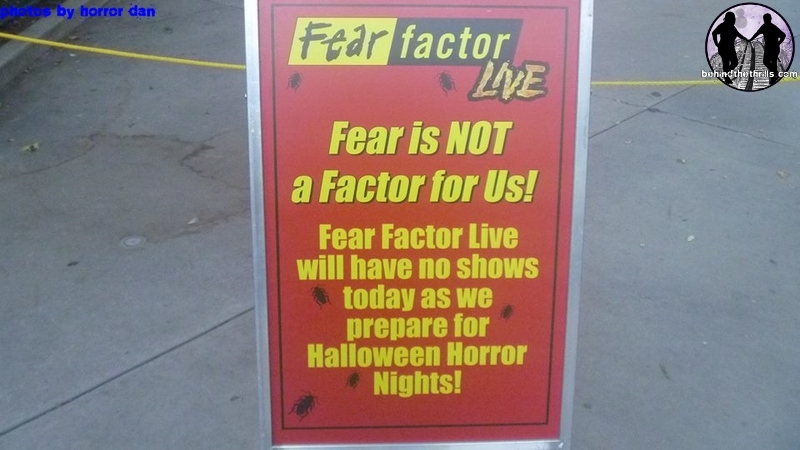 The Fear Factor Live show is closed for the preparation of Bill n Ted’s Excellent Halloween Adventure. 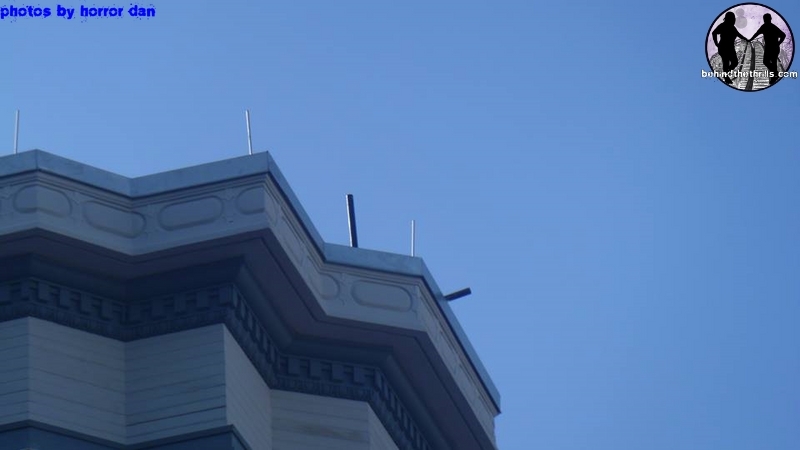 The tell tale signs of lighting and sound system placements are all around the rooftops. In the coming weeks, it’s going to be a little easier to see the Horror Nights progress. Stay tuned for the latest theme park happenings by following us on Twitter @BehindThrills! For more information about Universal Orlando, including the all new Springfield, visit the official website by clicking here! Previous PostTriathlon and Glow Run at Cedar Point September 6-8 2013 Next PostFlying Turns testing at Knoebels-Take a ride with a bunch of dummies!